The public health crisis known as the Opioid Epidemic began in the late 1990s, when pharmaceutical companies insisted that opioid painkillers were non addictive and as a result healthcare professionals began to prescribe them widely. They were, as it turns out, hugely effective in treating pain symptoms, and for certain populations such as the elderly, a lack of other effective pain reduction drugs made opioids even more attractive. However, the assertions that opioid painkillers are non addictive was— to put it lightly— wildly inaccurate, and today, an estimated 20% of Americans over the age of 12 have used prescription painkillers for nonmedical use. 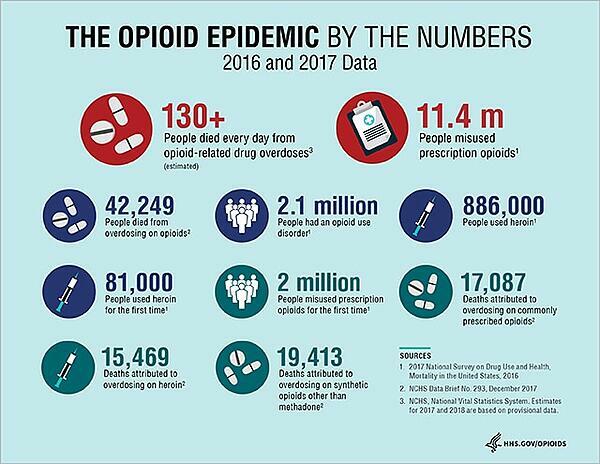 The US Department of Health and Human Services declared the opioid crisis a public health emergency in 2017. These five priorities are powerful because they address all the different facets of the opioid crisis, from healthcare professionals to politicians to the individuals impacted by addiction. We all have parts to play in order to halt this epidemic, and becoming champions of non-pharmacological pain treatments and non-pharmacological therapy is an initiative with which we can make an immediate and profound impact on our patients’ quality of life. What are Non-Pharmacological Pain Treatments? In addition, many people in the medical field are stressing the need to move beyond non-pharmacological pain relief to non-drug and non-invasive healing treatments as a first option. For example, the Oregon Health Plan, which is the state body that administers Medicaid and Medicare in for Oregon residents, moved to cover non-pharmacological treatments for back and chronic pain in July 2016, which included coverage for yoga, massage, chiropractic services, and supervised exercise therapy, among other treatments. Further, in the case of some conditions and patient backgrounds, these treatments are to be considered and pursued before a drug-based intervention. It’s certainly no secret to the medical community that the overprescription and misuse of opioid painkillers has had catastrophic consequences, but addressing the issue goes beyond simply cracking down on prescriptions. Indeed, according to a study on the patterns of opioid prescription in emergency care doctors, there is simply too much incentive–both financial and emotional–for many doctors to prescribe opioid painkillers rather than opt for a slower-acting, non-pharmacological pain treatment and therapy. But while patients may feel temporary relief from pain symptoms with opioid painkillers, evidence from the same study shows that a single exposure to them could lead to long-term abuse. The first step for healthcare professionals is to think critically about the role of opioids in their practice. The second is to make other pain treatment options available to their patients. Whether that involves investing time and capital into a new, non-drug treatment or building a broader network of care providers to whom patients can be referred for individualized approaches to pain relief, every individual in the healthcare community can make a difference in their practices to join the fight against the opioid epidemic, and hopefully, save a life from addiction.